We are renowned manufacturer, trader, importer, exporter, retailer of an extensive range of biometric and security products that have managed to capture the national markets with their high end features, durability and high levels of functional efficiency. Only the best of raw material obtainable in the country is used for our products which garnished with multiple inspection procedures, guarantee our clients absolute value for every penny spent. 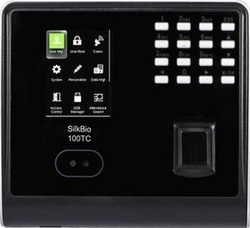 Pioneers in the industry, we offer atc990-card based reader, atc 403 - card based reader and biometric access control system - sf100 from India. CCTV is a TV system in which signals are not publicly distributed but are monitored, primarily for surveillance and security purposes. CCTV relies on strategic placement of cameras and private observation of the camera's input on monitors. 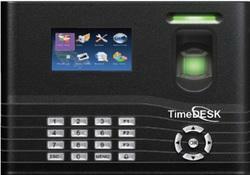 Our range of products include labour verification system. 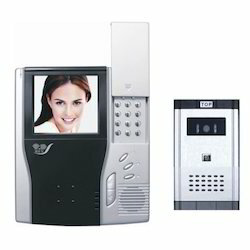 Providing you the best range of video door phone with effective & timely delivery. 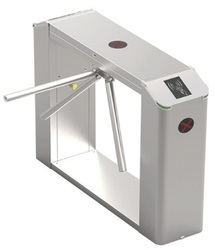 The Tripod / Turnstile are compact, cost-effective entrance solution with low power consumption and high reliability. TRIPOD barriers can be used for access control and make life easier for reception staff at entrances to office and administrative buildings, industrial installations, banks, authorities and many other places. They are quick, reliable and easy to use. We recognize the need for different types of solutions, depending on the level of security and freedom of movement required. 'P' GATES - P' type entrance gates are designed to guide and control the flow of people with disability, allowing wheelchair and in retails trolley access. 'P' includes mechanic and motorized swing gates, alarm and sensor detection systems, barriers and posts. 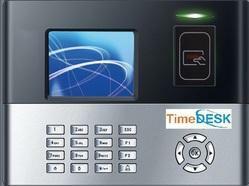 SPEED GATES - Speed Gates combine elegant and sophisticated design with the latest technology. These are suitable for areas where there is a large flow of people. By integrating access control devices, the Speed Gates provide a higher level of security and higher capacity in one solution that effectively prevents unauthorized passage while allowing a continuous flow of individuals. REVOLVING DOORS - Revolving Doors provide an elegant and extremely secure solution. Ideal for high-profile buildings requiring secure entrance, the Revolving Doors prevent tailgating and piggybacking and can be fitted with a range of detection systems to achieve the appropriate level of security. FULL HEIGHT TURNSTILES - Full-Height Turnstiles are available anywhere where there is a need of a high degree of security without manned monitoring. HALF HEIGHT TURNSTILES (SWING GATES) & TRIPOD GATE - Half Height Turnstiles are designed to combine smooth operation with uncompromised security. Easy to use for visitors, allow simple entry into a building. BOOM BARRIER / GATE AUTOMATIONS- Boom Barrier is a Bar or Pole placed at a pivot to move and up down in order control access of vehicles in a particular premises. 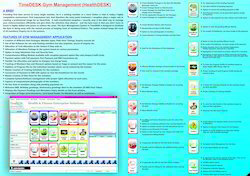 It is used for both Commercial and Residential purpose. Theyare typically found at toll booths, drawbridges, parking facilities, checkpoints and entrances to restricted areas.